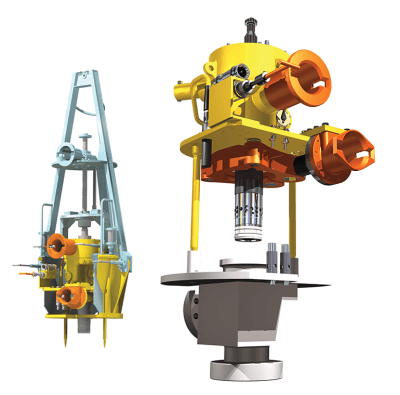 Our Intervention Work Over System (IWOS) is designed to work with retrievable subsea valves to ensure safe and effective installation and maintenance and is suitable for even the most demanding subsea conditions. Our system was designed as part of a joint-venture with Subsea 7, as we found that similar tools specified by engineers were often over-complicated for choke retrievals. Together, we have developed a simple, fit-for-purpose, cost-effective running tool. Mono or dual porch-handling/test frames. Separate or integral offshore test module. Contact us to discuss your subsea applications or for more information on the IWOS tool.